Lyme Disease is raking in a reported 300,000 new cases each year confirmed just in the United States alone. The often debilitating illness has become a major concern for parents and those who own pets as well, considering your furry friends can also become incredibly sick from a tick bite. Most affiliate Lyme disease with those that are always outdoors camping, or assume it mostly affects boys, and this cannot be further from reality. It is transmitted through deer tick bites, which could frankly happen at any point when you may be outside. Just think about how much time you spend in the great outdoors with your family or friends, and how proactive you now need to be to steer clear of developing this horrible illness. The most common Lyme disease telltale sign is a rash. This easily identifiable rash begins to form a "bull’s eye shape", or look like a target. 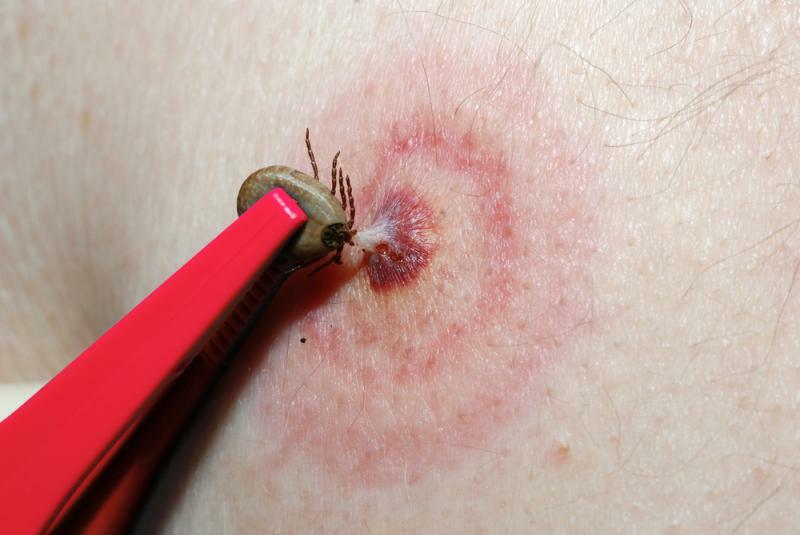 It can begin to form anywhere from 3-30 days after the initial tick bite. Most patients report their rashes showing up after one week of noticing the insect bite. The rash area is warm and usually does not cause pain or even itchiness, it's just present or noticeable. Some patients opt to put home remedy natural products on their rash, such as coconut oil. This option is totally up to you if you get any healing or rash relief from the products.